Mom and board certified dentist, Dr. Tyra Manso, has created a soothing environment for children’s dental care at Montclair Pediatric Dental Care. A friendly dentist for your family is right here in town with Montclair Pediatric Dental Care. Photo courtesy of Montclair Pediatric Dental. Going to the dentist can be exciting, right? Dr. Tyra Manso is the newest pediatric dentist in Montclair and she is making oral hygiene fun for kids. Both a mom and a board certified dentist, Dr. Manso has a special way with patients of all ages. 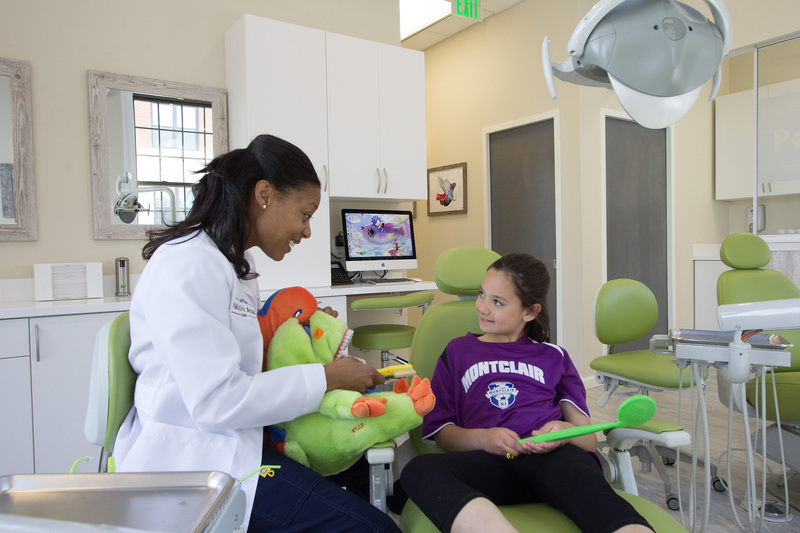 Whether it’s the first lost tooth or the last, Montclair Pediatric Dental Care is designed to be an inviting, comfortable place for children and teenagers. Her office is located at 31 Valley Rd. At Montclair Pediatric Dental Care, Dr. Manso’s mission is to prevent and treat oral disease before it starts. During a visit, families receive a cavity assessment, an age appropriate prevention plan and oral hygiene instruction. After the construction of a brand new office, parents can find a bright, soothing atmosphere that their kids may want to visit. “I had my son in mind when I designed the office. I’m a mom myself so I understand how difficult it can be for a kid to see the doctor. We make children feel a part of the treatment process from the beginning. In our waiting area, there’s a Lego wall, a few iPads with games and tons of natural light. When kids come in for exams and cleaning, they are relaxed,” said Dr. Manso. Dr. Manso also founded the Growing Smile Club, for which she teaches good oral health via the 2×2 rule. “You brush two times a day for two minutes,” said Dr. Manso. “We have pictures of all the kids up in the office.” The young patients of this practice are taught to incorporate oral health into their lifestyle. Although she is new to Montclair, Dr. Manso is hardly new to dentistry as she has been a dentist for over 10 years, graduating from the University of Michigan: School of Dentistry in 2006. She has been board certified since 2011. “I’m originally from Chicago but my husband and I moved to Montclair two years ago with my young son. I love Montclair,” said Dr. Manso. “The cultural diversity, the restaurants, the parks and, of course, the beautiful and historic neighborhoods really sold us.” According to the doctor, it was incredibly important that she open her business in the same town she lived in. For more information about Montclair Pediatric Dental Care, check out their Facebook and Instagram pages. 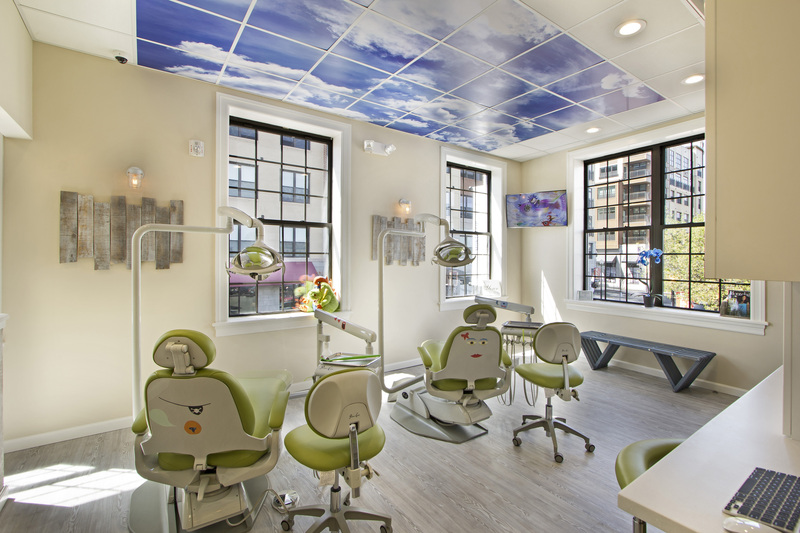 To see photos of the new office, visit their official website at montclairpediatricdental.com. To learn more or schedule an appointment, don’t hesitate to call (973) 771-5387.